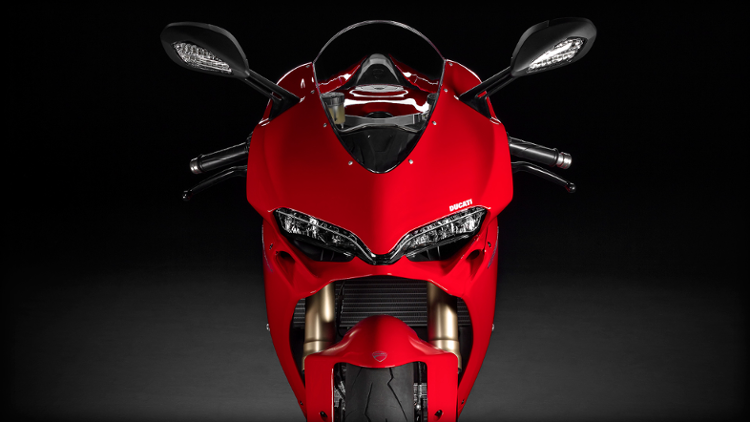 Breathtakingly stylish, the new 1299 Panigale leaves no room for compromise when it comes to technical excellence. Such is the case of the new Superquadro engine with an unprecedented 116mm bore. 205 hp of pure adrenaline, 145 Nm of stunning torque. State-of-the-art electronics ensure maximum control with the Bosch Inertial Platform. 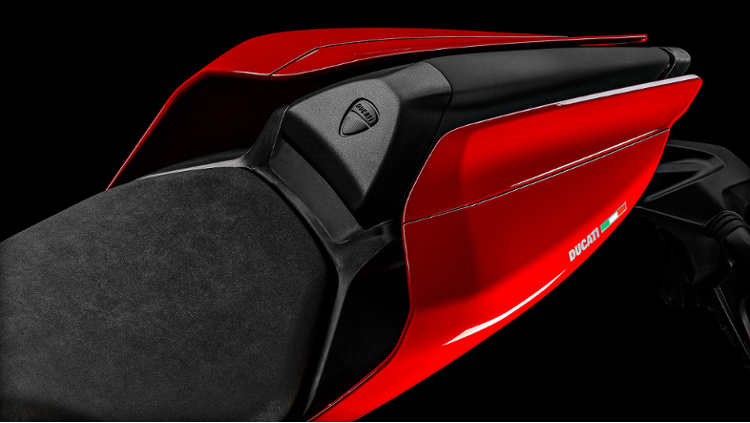 Ducati Quick Shift, both fast and precise, even for downshift. 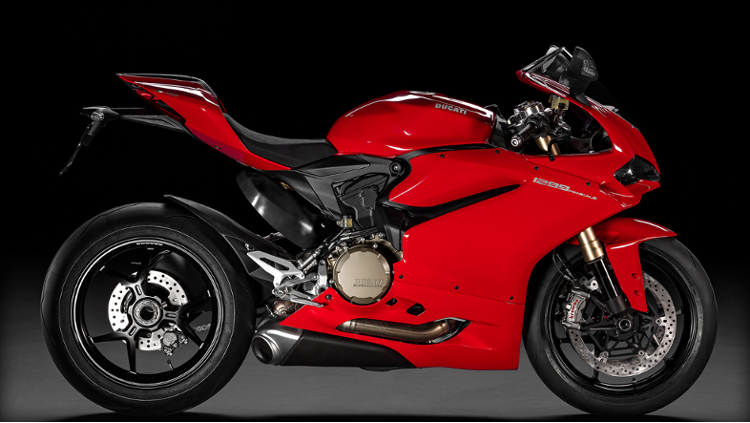 New 1299 Panigale, your deepest desire. 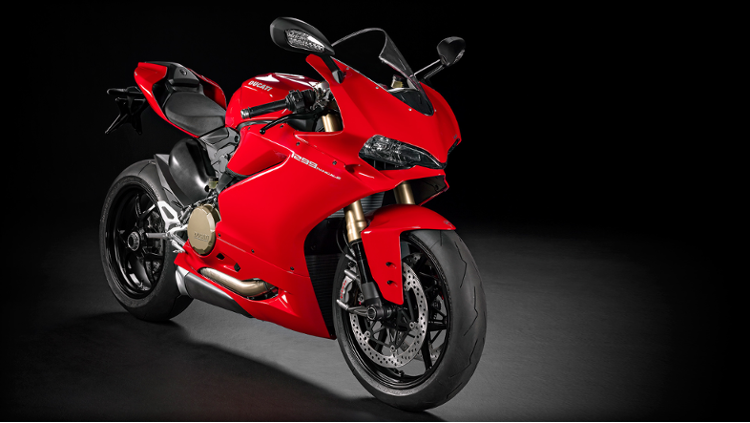 Contact us today to book a test ride and find out our latest special offers on the new Panigale at Ducati Manchester UK. 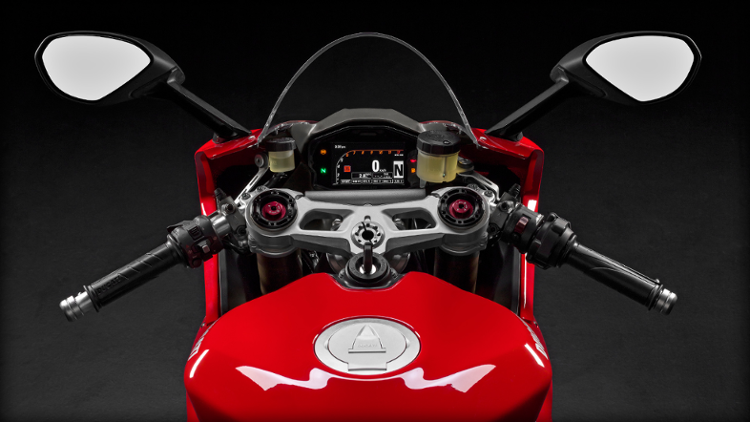 The Panigale's ergonomic dimensions assure a perfect integration between rider and motorcycle. The seat and handlebar positions are optimized to provide total control and comfort during sport and track riding, while the switchgear and dash are further designed to be intuitive, informative, and a pleasure to use. 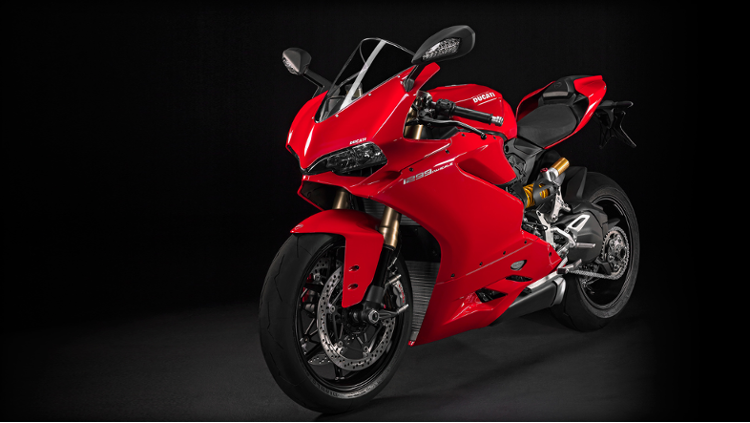 Grippy, machined-from-billet aluminium footpegs and a carefully-shaped seat with racing cover allow the rider to perfectly integrate with the Panigale, and focus only on the extraordinary sensations of the ride. 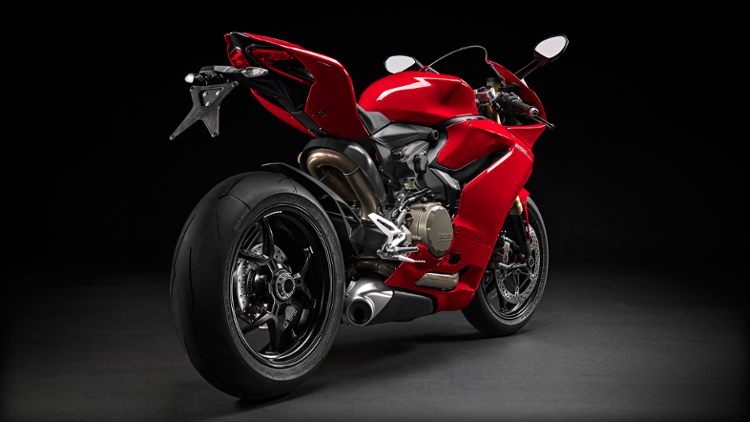 All Panigales benefit from Pirelli's Diablo Supercorsa SP tyres, the road version of the tyre used in the Superstock 1000 World Championship: 120/70 ZR17 at front and 200/55 x ZR17 at rear, which provide the contact patch necessary to effectively transmit the Superquadro's power to the ground. Designed to maintain a precise line in straights and on curves, the rear 200/55 x ZR17 tyre maximises the area of contact and corner speed by combining 200 mm width with a high profile. The tyres have structures and compounds deriving directly from Pirelli's experience in the Superbike World Championship, and feature casings specially studied to guarantee rigidity in extreme braking and shoulders that maximise the contact patch. In addition, a special double compound that uses the most advanced polymers facilitates the rapid heating of the tyres together with a constant grip.